Fishing season has begun, and no boat. The problem often satisfied, but decide it is not as easy as we would like. If your desire is stronger than you are facing difficulty, then get ready to use your wits and improvised material. Select one of the proposed ways of constructing homemade boats and start work. 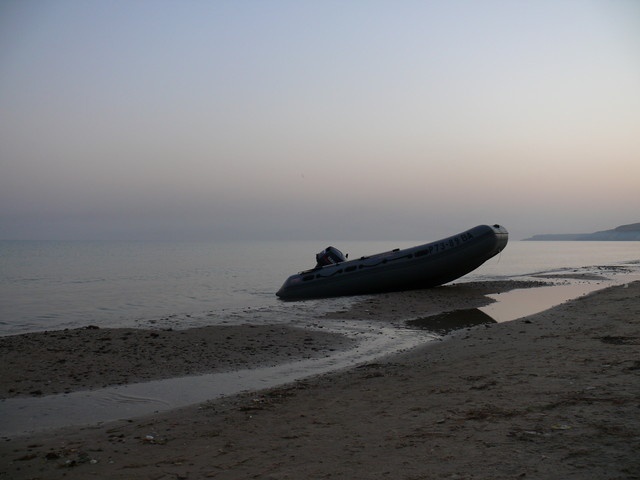 mattress-bed or inflatable boat, a pair of fanerok, engine. Make a boat out of the mattress and motor. This is one of the most common and at the same time fun ways to build a motor boat. You will need a large and sturdy mattress-bed, and a small and not very heavy engine. If you have a good inflatable boat that it would fit even better. Install on the boat or mattress wooden base, which will be attached to the motor. Ensure that no parts of the motor is not in contact with the boat, otherwise they can break. Pick up the motor. You can buy a small version in a specialty store or make it yourself. If you decide to buy, tell the seller your design, to help you to pick up at the same time easy and convenient to mount option. Try to make your own motor. A basis we can take from scooter, snowmobile, moped, or even chainsaws. Power, of course, be small, but if you are fishing alone, it is likely that you will be enough. Adapter for blades you can do yourself if you have a welder or even a soldering iron. Otherwise, parts must be purchased separately. The blades are best made of plastic or steel, for example, from sheets of aluminum. Some people make it out of normal spoons, but the motor from a chainsaw will probably be enough. Insulate the engine. Remember that your homemade device is not designed for "water treatment", and therefore should be protected from them. Put the motor in not a small bag and make several slits for handles and other external switches. Before you leave, make sure that the engine is not from any angle does not touch the bottom of the boat or mattress. If this happens, lock the engine in the safe position or slightly shorten the length of the blade.